We are delighted to announce the release of the much anticipated NavPac 4, HMNAO’s celestial navigation software package. 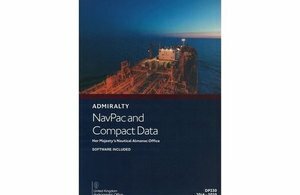 This is available as a free optional upgrade for existing registered users of NavPac and Compact Data 2016-2020. NavPac 4 can be used alongside NavPac 3.4. However, continued support will be available for NavPac 3.4 until 2020. NavPac 4 provides a much improved user interface and several new tools and features designed to make celestial navigation easier for the navigator. Further details can be found on HMNAO’s NavPac web pages.